CONCORD, NC – The best Big-Block Modified drivers and team owners have spoken: The Super DIRTcar Series is the place to be in 2019. 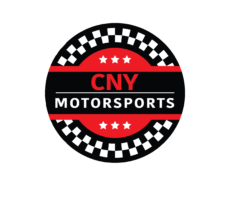 Newcomers Demetrios Drellos and Jack Lehner embark on their rookie campaigns, while experienced standouts Anthony Perrego (Graham Racing) and Ryan Godown (Searock Fabrications and Dieter Schmidt) have declared full-time status with the Series with new car owners. Silly season has been in full swing. The Franklinville Flyer Billy Decker returned to Gypsum Racing with teammate Lightning Larry Wight. Both drivers will compete full-time on the Super DIRTcar Series trail. Mat Williamson has a new ride in 2019 as he’ll pilot the Buzzchew Racing Big-Block Modified on the tour. Former Buzzchew ace Mike Mahaney has moved up north to drive for George and Julie Huttig in the no. 35. Mahaney will also compete weekly at Plattsburgh Airborne Speedway in the 358 Modified division. Peter Britten has struck out on his own as well. We’ll hear a lot more from him on his upcoming season very soon. Don’t forget, there are five DIRTcar Nationals non-points races at Volusia Speedway Park February 12-16! Come see how the new mix of drivers stack up against each other going into the season!